All new WeChat Out users will receive a free call credit of USD $1 or equivalent currency. With the incredibly low-rates, USD $1 is about 100 minutes worth of calls depending on the call destination. Your credit can be viewed by tapping “Account” in WeChat Out. Users will gain greater rewards incrementally (up to 50%) based on how much they top-up their WeChat Out accounts at one time. For example, an extra 30% in calling credits with a top-up of $1 USD (or equivalent currency), 40% with a top-up of $2 USD, and 50% (the best rate!) with a top-up of $5 USD (or equivalent currency). The top-up rewards instantly provide more calling time. 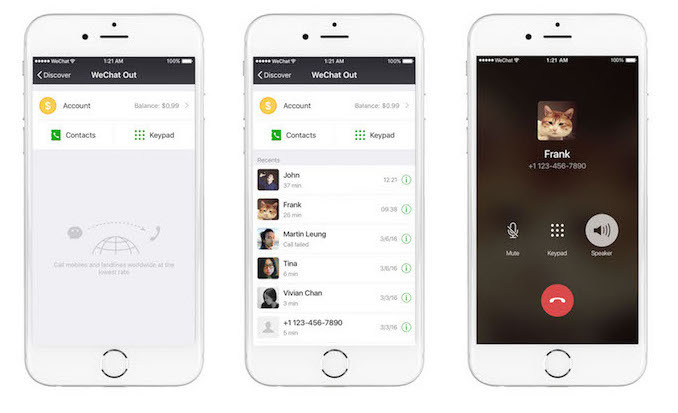 A United States WeChat user is charged $0.009 USD a minute for calling a friend in the United States. Normally a $0.99 top-up would allow a user to place 110 minutes of such calls. 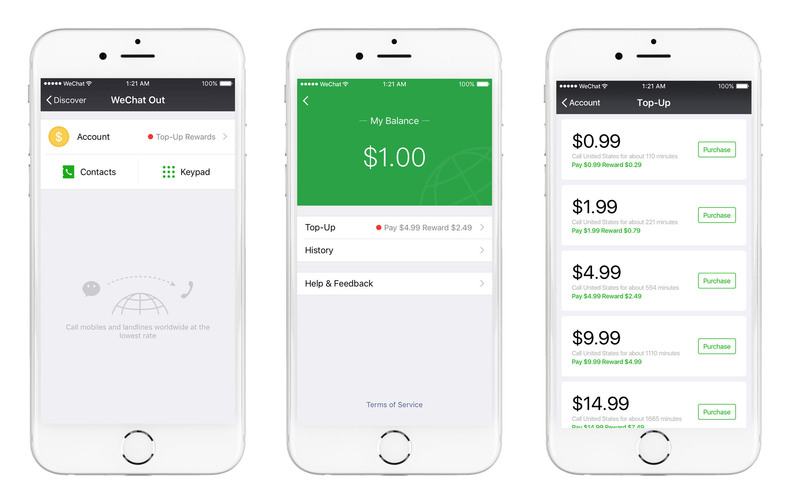 Now with top-up rewards, a user receives a total credit of $1.29 from a $0.99 top-up, enabling more than 140 minutes of calling time. With the highest quality calls and the most affordable rates, you can now connect to anyone using WeChat! So what are you waiting for? Your friends are just a WeChat Out call away! WeChat will continue to improve the feature as WeChat Out rolls out across the globe. WeChat Out’s latest update brings an all-new design, which provides a call history, better dial interface, and makes the feature easier to use. WeChat is a product of Tencent, the China’s largest internet services provider and, since 2011, WeChat has become one of the most popular apps worldwide with 697 million monthly active users. 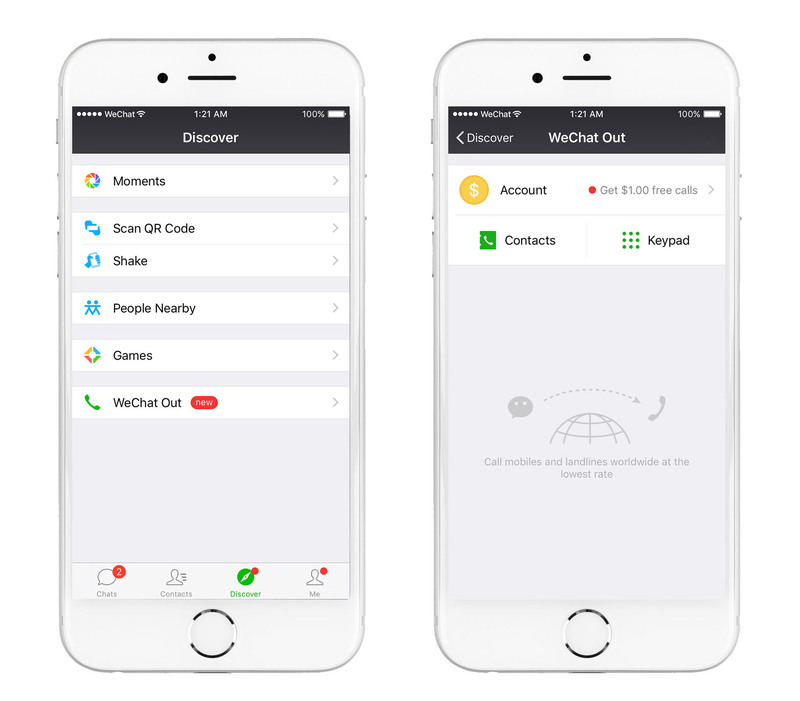 With the launch of WeChat Out, users can now connect with anyone around the world and experience crystal-clear, affordable calls via WeChat.